Today’s post is about chiropractic in general and animal chiropractic in particular. I know many people who swear by chiropractic as the optimal way to stay healthy – the veterinarian where I did my massage internship used to take the whole family, including her infant, to see a chiropractor regularly. I am also a big fan, and both my husband and I go for regular adjustments, and our vet used to adjust Sadie; her sacrum tended to go out of alignment on a regular basis. Manipulation of the spine as a way to restore health is mentioned in writings from China and Greece as far back as 2700 B.C., but chiropractic as we know it was first discovered in the late 1800s by Daniel David (D.D.) Palmer, a magnetic healer in Iowa. He was working in his office one evening when he started talking to a janitor, Harvey Lillard, who had lost his hearing soon after feeling a pop in his back. Palmer suspected that the two events were connected and asked Harvey if he could work on him. Harvey agreed, and sure enough, Palmer found a vertebra out of alignment. He adjusted it, and within a few days, Lillard could hear again! Word spread, and people flocked to Palmer’s clinic. He had much success curing all kinds of ailments, and eventually came up with a term for his new treatment method: chiropractic. In 1898, he decided to start teaching the method to others and opened the “Palmer School & Infirmary of Chiropractic”. While Palmer had many supporters, there were also those who thought the whole thing was a hoax, as is unfortunately so often the case with healing methods outside the established field of medicine. D.D. Palmer ended up being taken to court for “practicing medicine without a license” and was sentenced to jail. Thankfully, that didn’t stop him, and once he was out again, he continued his work together with his son, B.J. Palmer who, after his father’s death in 1913, continued his work and developed the technique further. Today, chiropractic is a well-established and widely accepted therapy, practiced all over the world. In the US, it is the largest alternative medicine profession, covered by many health plans, and most patients seek help for back pain. All messages between your brain and body travel along a complex system of nerves called the spinal cord. 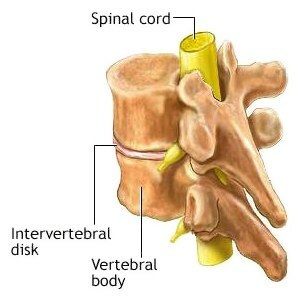 The cord is enclosed in, and protected by, the vertebrae that form your spine. When a vertebra shifts out of place (called a “subluxation”), it alters the nerve function, which can cause all kinds of health problems, and when the spine is properly aligned, health is restored (unless permanent damage has been done). A chiropractor helps the vertebrae get back to their correct positions by loosening them when they are out of alignment and letting the body realign them into their proper positions on its own. The idea is that the body itself knows best what the correct spine alignment is (“innate intelligence”) and the chiropractor’s job is not to force the vertebra back into place, just help it along. Chiropractic treatments can help with neck, leg, and back pain, injuries and TMJ (Temporomandibular joint disorder), but they can also help with nerve issues, muscle spasms and internal medicine problems, such as digestive disorders, and recurring and chronic conditions. It also works as preventative medicine; regular adjustments help maintain healthy joint and spine function. B.J. Palmer did chiropractic adjustments on animals to make sure that the practice and principle worked for them as well (and he also occasionally treated people’s pets), but chiropractic for animals wasn’t regularly practiced until the 1980s. A group in New Jersey – “Options for Animals” – was started to promote both chiropractic and other alternative therapies for animals. When the chiropractor in that group faced state charges for practicing chiropractic on animals, the organization asked a veterinarian, Dr. Sharon Willoughby, to take over. At the time, Dr. Willoughby was a student at the Palmer College of Chiropractic and was happy to do so. In 1986, she taught the first course in equine chiropractic and the veterinarians and chiropractors attending that course formed the American Veterinary Chiropractic Association (AVCA), with Dr. Willoughby as president. I wrote this post with the help of Dr. Gene Giggleman, practicing veterinarian, veterinary chiropractor and Past President of the American Veterinary Chiropractic Association. He is currently a faculty member and co-developer of the animal chiropractic program at Parker University. There seem to be many types of chiropractic techniques. My husband’s chiropractor uses what I think of as pretty brutal adjustment methods, while mine practices what she calls “non-force chiropractic” (it feels like very light tapping with the fingertips). Is it the same with animals (i.e. 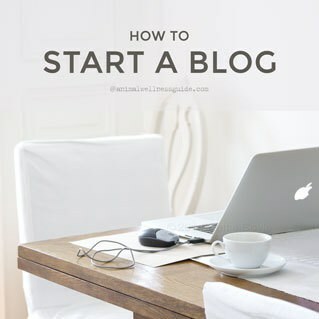 that there are many different techniques)? Most individuals who adjust animals use manual adjustments and at times they can seem rough and forceful. I use instrument adjusting which is more gentle and accurate. There are a few individuals who use other techniques, but for the most part, it is manual or instruments that are used. Are the techniques used on animals different from those used on humans? Not really, in reality the adjustor is adjusting the spine, be it on an animal or a human. 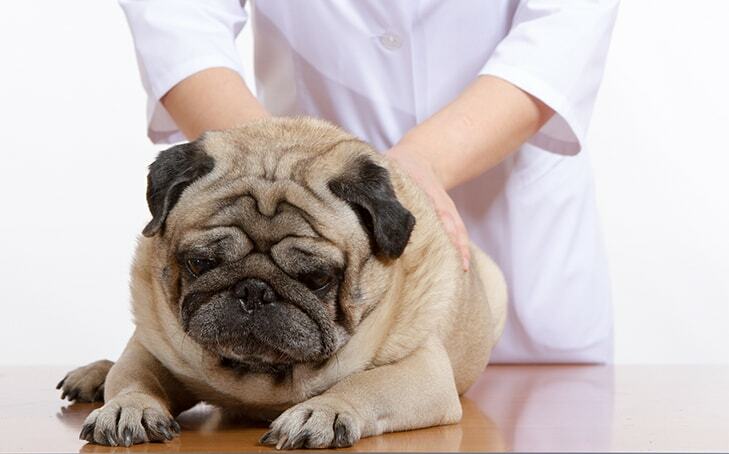 What can your pet expect from the first chiropractic adjustment? It really depends on the presenting problem. In general, they will have greater mobility, less pain, be more alert and better able to function. In some cases the pet is sore the next day, especially if they have never been adjusted before. Does the chiropractor also diagnose the animal? If the individual is a vet, then yes, they will receive a veterinary examination and a possible diagnosis. If a diagnosis is not possible based on the exam alone, further tests will be recommended. If the adjustor is a chiropractor and even when he or she is a vet, the animal will receive a chiropractic assessment in order to locate the regions of the musculoskeletal system that need to be addressed. What is a chiropractic adjusting tool and how does it work? There are several on the market, but the majority of individuals using an instrument use what is called an Activator® instrument which is a spring loaded percussion instrument. Are there any other instruments used on animals? Cattie’s note: These are all handheld tools. The Arthrostim delivers soft pulses to the vertebra until it releases, and the Activator and the Impulse give a light and very quick thrust, so quick that it “beats” the body’s own reaction time, thereby preventing the surrounding muscles from tightening up in anticipation of what’s to come, which makes it easier to adjust the vertebra. What is Chiropractic Laser Therapy? I seem to come across the term “chiropractic laser therapy” a lot lately. What is it? The use of lasers in veterinary medicine is a relatively new approach. Low Level Lasers are instruments that emit a beam of highly concentrated light designed to alter cellular function. It is considered controversial in mainstream medicine, but so is chiropractic for that matter. There is ongoing research in veterinary medicine to show their efficacy. Despite a lack of consensus over its ideal use, specific test and protocols for laser therapy suggest it is effective in relieving short-term pain for some types of arthritis, acute and chronic spinal pain, tendonitis, and possibly chronic joint disorders. Current research is looking at the efficacy of laser therapy in wound healing and inflammation. What are some of the benefits of a chiropractic adjustment? Increased mobility, increased range of motion in joints, decreased pain, better function, more alert, better attitude, and a happier pet. How about potential side effects? Cattie: The first time I had a chiropractic adjustment, I felt fine at first, but about an hour later, I was out walking my dog, and all of a sudden, I got really nauseous and ended up with a terrible headache. It passed pretty quickly, but was unpleasant while it lasted. Do pets experience similar side effects? The only real side effects I have noticed is that sometimes the pet is sore the next day if the condition has been present for a long time and this is their first adjustment. As I said, I use a low force instrument technique so I do not have the degree of soreness in my patients that some people report. I have never seen vomiting post adjustment. I have seen animals have bowel movements after an adjustment, especially if they have had problems in this area previously. How can you tell if your pet needs to see a chiropractor? What are some common signs? Pain, lameness, inability to jump or perform as normal, not wanting to eat hard food or play with toys, inability to move normally, changes in behavior that might indicate pain or discomfort. 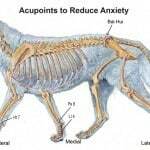 Is there a “most common” adjustment on dogs, cats, and horses? Cattie: Most “human patients” seek help for back pain (lower back pain in particular) – what types of problems do you see most in dogs, cats and horses respectively? Dogs, many come in with back issues, same with cats. In dogs, I treat a fair number of herniated disc cases and lameness. In cats, I treat mostly mid to low back issues. In horses, I am told many cases are in the neck, mid back, pelvis and sacrum. Are there any conditions that chiropractic can treat that might surprise people? I seem to get good results with Dachshunds with herniated disc disease, and in many cases can have these dogs back to normal with only a few adjustments, which keeps them from having to undergo surgery. Chiropractic is not a cure all and there are those cases which do not respond to chiropractic therapy. There are also those cases which need drug therapy and/or surgery. It is important that the individual doing the chiropractic assessment advise the owner of the treatment options and allow them to make an informed decision as to which route of treatment they chose for their pet. Are there any conditions that are not suitable for chiropractic treatments? Yes, fractures, acute joint injuries, cancerous body parts, osteoporosis, torn tendons or ligaments, muscle strains, should not be adjusted, or if they are, the doctor needs to be very careful and aware of the condition. Do animal chiropractic practitioners generally specialize? For example does someone who practices equine chiropractic usually also work on dogs and cats, etc. or should I look for a specific “dog chiropractor” and so forth? It varies. Since I am a small animal veterinarian I just do chiropractic care on small animals. Most people I know prefer to work on one species; most equine animal adjustors prefer to work on horses, but will adjust dogs. It makes sense to be good at one thing versus a jack of all trades, but it is up to the individual, and many animal adjustors do all animals. What about chiropractic for pets like rabbits, gerbils and birds? I have adjusted all of these species. If an animal has a spine, it can be adjusted. My chiropractor says that since the muscles tend to get used to a specific position and can actually keep pulling the vertebrae back to the “wrong place”, massage is a great complement to chiropractic – do you agree? Yes I agree; massage and other forms of rehabilitative work are great adjuncts to chiropractic care. Is it better for the animal to get the massage before or after the chiropractic adjustment (i.e. is it better to get the muscles loosened up in advance or work on them after the pet has been adjusted)? It depends upon the situation and I have done both. If the muscles are in a spasm so that it would be difficult to adjust, then I would say a before massage would be most helpful. If I am concerned about soreness or there are trigger points that need to be addressed I would recommend a post adjustment massage. Is there a particular kind of “chiropractic massage”? Muscle stretching, deep tissue work, trigger point therapy, cross fiber work, traction, hydrotherapy, and myofascial work all seem to be of benefit. Can pet owners do the massage themselves? n some cases, yes. If properly instructed, the owner may be able to do some of these types of therapies at home. Cost of chiropractic adjustments – and are they covered by insurance? What is the average cost for a chiropractic visit for your pet? It varies, but typically the assessment and the adjustment cost is around $50 for a pet and $150 for a horse. Do you usually need more than one appointment? It depends on what is being treated, how long the problem has been there, the overall health of the animal, and how the animal responds. I am not aware of a medication in which you only have to take one pill, or make one trip to the massage therapist or the rehabilitation specialist in order to get well. You have to fix the problem and all processes take time. Does any pet health insurance cover chiropractic treatments as far as you know? In some cases and with some policies, yes. 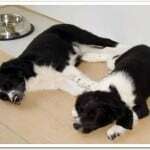 Can animal owners take basic chiropractic courses or workshops? No, chiropractic care should only be done by an appropriately trained and licensed individual, which would be a veterinarian or a chiropractor. Cattie: My research suggests that there are currently no laws stating that you need a certification, only that you have to be a licensed veterinarian or chiropractor who has undergone 210 hours of animal chiropractic training at an approved school. But getting certified by either the American Veterinary Chiropractic Association (AVCA) or the International Veterinary Chiropractic Association (IVCA) is highly recommended. Dr. Giggleman, would you agree with this statement? There are laws governing the treatment of animals, and this should only be done by a licensed veterinarian. The AVCA will not credential an individual who does not have a valid veterinary or chiropractic license. Does that differ from state to state? 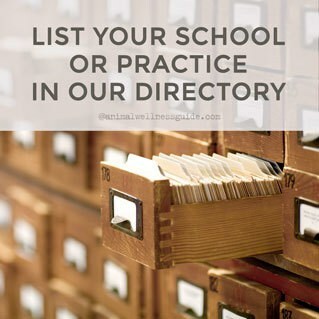 You can find a local certified veterinary chiropractor through the American Veterinary Chiropractic Association (http://www.avcadoctors.com), the American Holistic Veterinary Medical Association (http://www.ahvma.org/) and the International Veterinary Chiropractic Association (http://www.ivca.de). What questions should you ask before making an appointment for your animal? 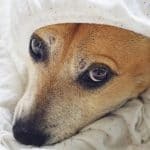 – Find out if the doctor is appropriately trained, and what kind of experience they have treating the condition your animal has. – Do they work with the species of animal you have, in other words if you have a horse, do they work with horses? – What is their success rate treating the condition your animal is suffering from? In all cases, in my opinion, you should have your animal seen by your regular veterinarian prior to seeking chiropractic care to ensure your pet indeed has a condition which can be treated using chiropractic. Many veterinarians are not familiar with chiropractic care and therefore are uneducated as to its benefits. 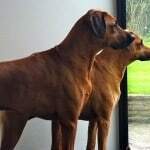 This sometimes creates a road block for the animal owner seeking chiropractic care and is unfortunate because it limits the care the animal can receive. Most states require a veterinary referral prior to a chiropractor treating an animal. Learn more about other holistic animal health modalities.